Stunning value while still hitting great game areas, this combination is a great entry level and first time safari and beach trip. Charming and exceptional value, Sunshine Hotel offers simple accommodation on one of the islands best beaches. Located up in Matemwe the hotel also gives guests easy access to Mnemba Island for the islands best diving and snorkelling. Overall a lovely little property that helps make an overall itinerary more affordable. Rustic yet reliable, this comnination is winner for those who are interested in animals but don't need chandeliers. Simple beach lodge with good beach to finish. 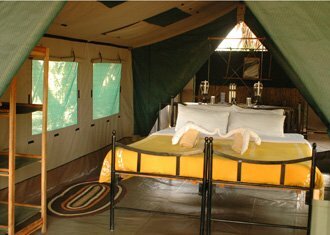 Mdonya is without doubt the best value camp in Ruaha National Park. 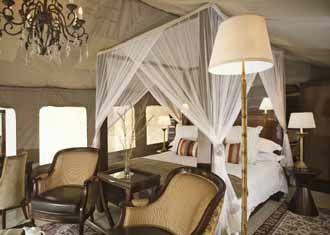 It has that same charm and character of its famous sister camp in the Selous, Lake Manze Tented Camp. Mdonya may be basic and simple but this is what Ruaha is all about. It is a fierce and wild park and Mdonya is in a very wild area of it. With its great location you can rely on there being quality game viewing and you don’t necessarily need to spend that extra cash if luxury is not your priority. Mdonya and has always delivered and we have a lot of faith in this little camp. Excellent value adventurous safari in great game areas, followed by a classic and reliable hotel on Zanzibar. If you're looking for a shorter trip with good luxury, then this is a great option. Both these lodges are favourites with clients over the years. You cannot go wrong with these camps! The Holy Trinity. Best value luxury in the South. Beautiful lodges, two safari parks, remote beach. If you stay at all these lodges then there are fantastic deals available. The best beach lodge in east Africa! As a company we have explored the entire coast and there nowhere that gets near to Ras Kutani. It is ‘bare foot beach luxury’ at its best and comes at fantastic value. It is secluded, private and spectacularly beautiful. Team this with fantastic rooms, lovely food and great service and we have ourselves a champion of beach lodges. 3 top quality lodges- an excellent honeymoon option. The Southern parks followed by the best on Zanzibar. Sand Rivers Selous is an adventurous barefoot luxury lodge in the quieter area of the Selous Game Reserve. Owned by Nomad Tanzania, who have camps in pretty much every park in Tanzania, this is one of their top properties and it’s great for those seeking adventure in the wilderness, with lots of walking safari, excellent fly camping and boating up to Steiglers Gorge. Kilindi is run by the very reputable Elewana. Originally privately owned and built to be Zanzibar’s new big thing, Elewana has done a great job at keeping it a top property. Management has reformed Kilindi to be the best two person accommodation on Zanzibar. 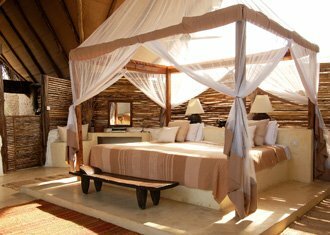 The pavilions are what make Kilindi, with the two private plunge pools, massive bathrooms and bedrooms and great views. Why beat around the bush? This trip is all you need. Best safari lodge in the Selous, best beach lodge in Africa. Beho Beho has been blessed with one of the most sublime views in the Selous game reserve. It provides its guests with every luxury and more, whilst over looking a huge area of true wilderness. The lodge consists of 9 stone bandas (the panoramic view comes free) that are not left wanting in terms of providing their guests with every comfort possible. The food, guiding and service are all of the very highest standard. 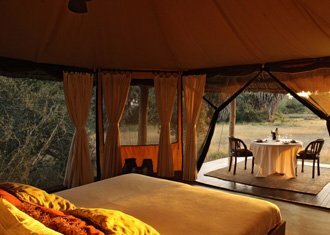 Selous and Ruaha camps for those who love safari! Lots of walking safari with this one; guided by some of the finest walking specialists. Affectionately called the Big C, this trip takes in all the Southern parks, as well as the West on Tanzania. Expect every safari experience possible, swathes of Africa to yourself, and crowned by chimps in the wild. Chada is one of the most remote lodges we use in Tanzania, located in the Katavi National Park, one of the wildest game experiences in Tanzania. There are a handful of lodges in the park and this is by far the best property, run by Nomad Tanzania who are famous for their adventurous camps with some very good guiding and management. 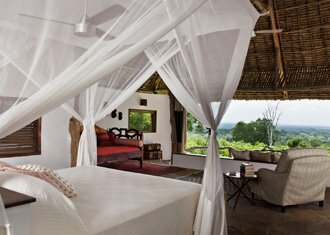 A stay at Chada is often complimented with a stay in neighbouring Mahale National Park at the other famous Nomad property- Greystoke.